Save time, money, the environment...and get better gel results! 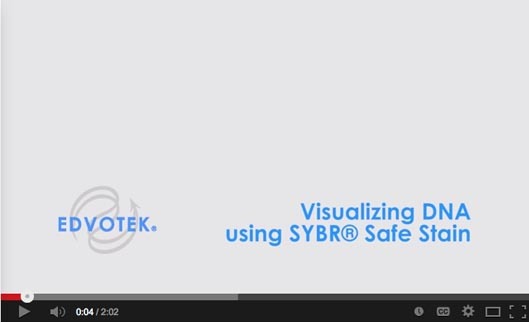 SYBR Safe® is a DNA stain that fluoresces with a bright green color when excited with UV light. Like Ethidium Bromide, SYBR Safe® binds specifically to the DNA double helix. However, unlike Ethidium Bromide, SYBR Safe® has been engineered to be less mutagenic then Ethidium Bromide, making it much safer to use, particularly in the classroom.